Smithsonian Networks is a joint venture between CBS Corporation's Showtime Networks and the Smithsonian Institution. The service consists of Smithsonian Channel, Smithsonian On Demand , and smithsonianchannel.com . CBS Corporation is an American mass media corporation focused on commercial broadcasting, publishing, and television production, with most of its operations in the United States. The current President and Acting CEO is Joseph Ianniello. Sumner Redstone, owner of National Amusements, controls CBS by way of his majority ownership of the company's Class A voting stock; he also serves as Chairman Emeritus. Showtime Networks Inc. (SNI) is an American entertainment company that oversees the company's premium cable television channels, including its flagship service Showtime. It is a subsidiary of media conglomerate CBS Corporation. The network’s content is inspired by the Smithsonian Institution’s museums, research facilities and magazines. It features original non-fiction programming that covers a wide range of historical, scientific and cultural subjects. It is also available from On Demand in both high definition and standard definition. Video on demand (VOD) is a programming system which allows users to select and watch/listen to video or audio content such as movies and TV shows whenever they choose, rather than at a scheduled broadcast time, the method that prevailed with over-the-air programming during the 20th century. IPTV technology is commonly used to bring VOD to televisions and personal computers. Soul Revolution hosted by Morgan Freeman premiered November 16, 2008. Soul of a People: Writing America's Story – A National Endowment for the Humanities-funded documentary about the Federal Writers' Project featuring interviews with notable project alumni Studs Terkel, Stetson Kennedy, and American historian Douglas Brinkley. Premiered September 6, 2009. Aerial America is a television series airing on the Smithsonian Channel. Each episode is an aerial video tour of a U.S. state or destination in the United States. The narrated show consists entirely of aerial scenes using the Cineflex V14HD gyro-stabilized camera system mounted under the “chin” of a helicopter. It features flyovers of historical landmarks, natural areas such as national parks, and well-known buildings and homes in urban areas. The series has aired an episode for each state as well as others that have showcased popular destinations such as Hollywood and small towns in the U.S.
Morgan Freeman is an American actor, film director, film narrator, and philanthropist. Freeman won an Academy Award in 2005 for Best Supporting Actor with Million Dollar Baby (2004), and he has received Oscar nominations for his performances in Street Smart (1987), Driving Miss Daisy (1989), The Shawshank Redemption (1994), and Invictus (2009). He has also won a Golden Globe Award and a Screen Actors Guild Award. Hosted by actor Tom Cavanagh, Stories from the Vaults is a series of 30-minute shows featuring a behind-the-scenes look at the Smithsonian Institution, the world's largest museum complex. The new series, produced by Caragol Wells Productions, showcases the Smithsonian's rarest treasures as Tom Cavanagh meets with the experts behind the Smithsonian and discusses what it takes to preserve these precious artifacts for the generations to come. Stories from the Vaults debuted September 2007 on Smithsonian Networks. The second season premiered Sunday July 12, 2009. Smithsonian Channel's programming library is currently distributed by Trifecta Entertainment & Media. Trifecta Entertainment & Media is an American entertainment company founded in 2006. The company's founders previously held jobs as executives at MGM Television. Trifecta is primarily a distribution company and also handles advertising sales in exchange for syndication deals with local television stations, cable outlets, and digital media. Secondary, the company produces television programs and made-for-TV and direct-to-video movies. 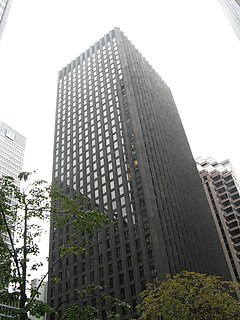 The company has offices in Los Angeles, California and New York City, New York. Originally only offered in high definition, the Smithsonian Channel HD began airing on DirecTV's new HD lineup on September 26, 2007. Dish Network had originally added the HD channel on May 12, 2008, until February 1, 2009, when Dish dropped it. Then on December 11, 2015, Dish began to offer the channel again. In 2010, Smithsonian Networks entered into an agreement with Comcast for broadcast of the channel until 2020. DirecTV is an American direct broadcast satellite service provider based in El Segundo, California and is a subsidiary of AT&T. Its satellite service, launched on June 17, 1994, transmits digital satellite television and audio to households in the United States, Latin America, Americas and the Caribbean. Its primary competitors are Dish Network and cable television providers. On July 24, 2015, after receiving approval from the United States Federal Communications Commission and United States Department of Justice, AT&T acquired DirecTV in a transaction valued at $67.1 billion. Dish Network Corporation is a U.S. television provider. Based in Meridian, Colorado, it is the owner of the direct-broadcast satellite provider Dish, and the over-the-top IPTV service Sling TV. As of November 2016, the company provided services to 13.7 million television and 580,000 broadband subscribers. The company has approximately 17,000 employees. Smithsonian Networks is also available on AT&T U-verse and Charter Communications in high definition and standard definition and on Verizon FiOS, Mediacom, and CenturyLink's Prism as part of their Premium and Preferred packages. Since 2015, Cox Communications added the channel on at least a few of their systems. Showtime is an American premium cable and satellite television network that serves as the flagship service of the Showtime Networks subsidiary of CBS Corporation, which also owns sister services The Movie Channel and Flix. Showtime's programming primarily includes theatrically released motion pictures and original television series, along with boxing and mixed martial arts matches, occasional stand-up comedy specials and made-for-TV movies. Sky Cinema is the collective name for the premium subscription television film channels operated in the United Kingdom and the Republic of Ireland by Sky, a division of Comcast. The UK and Ireland channels have over 5 million subscribers, via satellite, cable and IPTV. In addition to the television channels, it has an interactive 'red button' service, a website (sky.com/movies) and in 2005 launched a 3G mobile service via Vodafone. Foxtel is an Australian pay television company, operating in cable television, direct broadcast satellite television, and IPTV streaming services. It was formed in 1995 through a joint venture established between News Corporation (FOX) and Telstra (TEL), with Fox being the 65% and Telstra the 35% shareholders respectively. It shares many features with the Sky service in the United Kingdom, including iQ, the electronic program guide, a similar remote control, and Red Button Active. Sky Italia is an Italian satellite television platform owned by Sky. It is owned by Comcast, and it is a major sports broadcaster. Sky Italia also broadcasts three national free-to-air television channels: Tv8, Cielo and Sky TG24. As of 2018, following an agreement with Mediaset, Sky Italia also operates a series of subscription-based terrestrial channels offering sports, entertainment and movies. MoviePlex is an American premium cable and satellite television channel that is owned by Lionsgate. The channel's programming consists of recent and older theatrically released motion pictures. The headquarters of MoviePlex, and its sister channels Encore and Starz, are located at the Meridian International Business Center complex in Meridian, Colorado. Sundance TV is an American pay television channel that is owned by AMC Networks. Originally, the channel was devoted to airing documentaries, independent feature films, short films, world cinema, and original programs, such as news about the latest developments from each year's Sundance Film Festival. In recent years, the channel has incorporated original and acquired scripted and reality series into its schedule. It became fully ad-supported in 2013, with content being edited for content soon thereafter. Freesat is a British free-to-air satellite television service, provided by joint venture between the BBC and ITV plc. The service was formed as a memorandum in 2007 and has been marketed since 6 May 2008. Freesat offers a satellite alternative to the Freeview service on digital terrestrial television, with a broadly similar selection of channels available without subscription for users purchasing a receiver. Roku, Inc. is an American publicly traded company based in Los Gatos, California. Roku manufactures a variety of digital media players that allow customers to access Internet streamed video or audio services through televisions. Roku has an advertising business and also licenses its hardware and software to other companies. Sportsman Channel is an American sports-oriented digital cable and satellite television network that is owned by the Outdoor Sportsman Group subsidiary of Kroenke Sports & Entertainment. The channel is dedicated to programming about outdoor sports, including hunting, shooting and fishing. Voom HD Networks was a suite of 21 original high-definition television channels owned by Rainbow Media, a subsidiary of Cablevision. The channels were produced in Crystal Clear Hi-Definition with Dolby Digital 5.1 Surround Sound and were the largest suite of HD channels in the world. As part of a 15-year agreement between Rainbow Media and Dish Network, these channels were available on that satellite platform exclusively until May 12, 2008, when Dish walked away from the contract just over two years into the deal. Left without a national distribution partner, the channels were removed from Cablevision in New York, New Jersey, and Connecticut on January 20, 2009 and ceased broadcasting on the same date. Reelz is an American digital cable and satellite television network that is owned by Hubbard Broadcasting. REELZ is the only network that tells the stories of the famous and the infamous and uncovers the real stories of celebrities – celebrating their accomplishments and revealing their darker truths. The network programming is primarily documentaries about the famous and infamous. Their current positioning tag line is "Real Lives. Real Stories. Real Celebrities." Discovery HD is the international name of the high-definition television channels from Discovery Communications. MGM HD is an all high-definition television cable network. It features movies from the Metro-Goldwyn-Mayer library of approximately 1,200 movies mastered in a high-definition-compatible format. The network exists largely because MGM does not have to pay to license their own films, and the schedule is composed mostly of second-tier and less-popular films that are not wanted or licensed by other major networks and movie channels. The films are usually presented uncut and in their original aspect ratio, although some films are edited for content for daytime viewing and commercial breaks are often added during peak viewing hours. Epix is an American premium cable and satellite television network that is owned by Metro-Goldwyn-Mayer. The channel's programming consists of recent and older theatrically released motion pictures, original series, documentaries, and music and comedy specials. Sky Atlantic is a British pay television channel owned by Sky Limited. The channel is primarily dedicated to imported programmes from the United States, and holds the domestic rights to HBO and Showtime programming, along with other original series. Smithsonian Channel is a digital television channel broadcast in the United Kingdom and, via satellite, the Republic of Ireland. It is a British version of the US documentary station Smithsonian Channel. The service is broadcast in standard and/or high definition formats on all of the major linear digital broadcast platforms in the UK since 12 February 2019. ↑ "Aerial America". Smithsonian Channel. Retrieved August 1, 2018. ↑ "Smithsonian Channel – Sky View" . Retrieved August 1, 2018. ↑ "Aerial Ireland". Smithsonian Channel. Retrieved August 1, 2018. ↑ "Aerial New Zealand". Smithsonian Channel. Retrieved August 1, 2018. ↑ "Aerial Africa". Smithsonian Channel. Retrieved August 1, 2018. ↑ "Aerial Britain". Smithsonian Channel. Retrieved April 18, 2019. ↑ "Aerial Cities". Smithsonian Channel. Retrieved August 1, 2018. ↑ 72nd Annual Peabody Awards, May 2013. ↑ MLK: The Assassination Tapes (Smithsonian Channel), November 26, 2013. ↑ "Air Warriors". Smithsonian Channel. Retrieved August 1, 2018. ↑ "The Real Story". Smithsonian Channel. Retrieved August 1, 2018. ↑ "Dish Network adds Smithsonian Channel in High Definition" . Retrieved 1 August 2018. ↑ "Ways to Watch Smithsonian Channel" . Retrieved 1 August 2018. ↑ Roku. "Roku". Roku. Retrieved 1 August 2018. ↑ "Apple TV Adds Apps for Vevo, Weather Channel, Disney, and Smithsonian Channel" . Retrieved 1 August 2018. ↑ Sherwin, Adam (8 February 2019). "Smithsonian Channel to take on BBC4 with 'fact-checked' shows for UK viewers". The i . Retrieved 16 February 2019. ↑ O'Reilly, Tim (5 April 2006). "Smithsonian Sunshine – O'Reilly Radar". radar.oreilly.com. Retrieved 20 October 2013. 1 2 Wyatt, Edward (1 April 2006). "Smithsonian Agreement Angers Filmmakers". The New York Times . New York: NYTC. ISSN 0362-4331 . Retrieved 20 October 2013.